WOW!!! NEW PRICE!!! ALL NEW STAINLESS STEEL APPLIANCES AND A FRESH NEW LOOK TO THE KITCHEN THAT IS AWESOME!!! THAT MAKES THIS THE BEST BUY IN NEWBURGH AND YOU WON'T WANT TO MISS IT! LOCATED IN POPULAR OAK GROVE SUBDIVISION!! 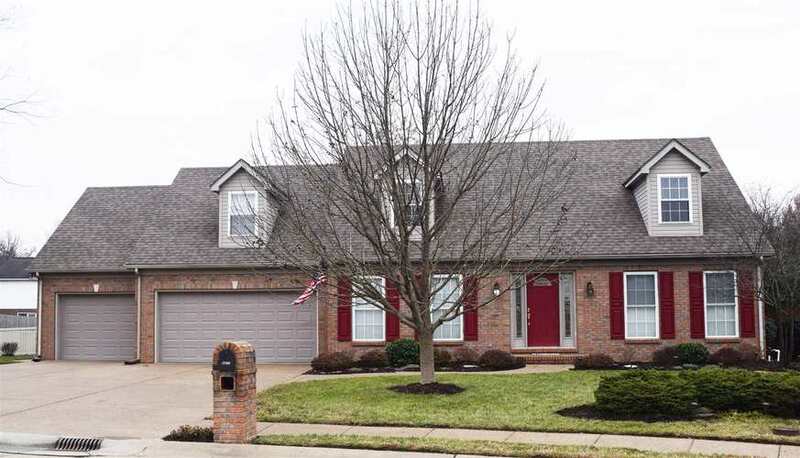 Home features a foyer entry, living room/dining room combo, large eat in kitchen with island and walk in pantry, plus a breakfast nook OVERLOOKING THE BEAUTIFUL BACKYARD OASIS! The spacious family room features a gas fireplace flanked by windows on each side for lots of natural light and a built in bookcase. There is also a bedroom on the main floor that is currently being used as an office. Upstairs you will find the generous master suite with walk in closet, twin sink vanity, whirlpool tub and separate shower. There are 4 other nice sized bedrooms with good size closets, a full bath, and a 20 x 17 bonus room! Outside the HUGE BACKYARD AND DECK IS PRIVATE AND FEATURES PLENTY OF ROOM FOR GRILLING AND RELAXING! There is also a patio area, great for a fire pit! Enjoy the great views of the extensive landscaping. All of this PLUS A 3.5 CAR ATTACHED GARAGE! Sellers are offering a one year home buyers warranty for buyers peace of mind! HURRY!!! Directions:From Hwy 261, East on Oak Grove Rd, left on Oak Trail Drive, Right on Cheshire Dr, left on Meadowcrest to home on Left.